Onahu Creek moves through downed timber on it's way towards the Colorado River. 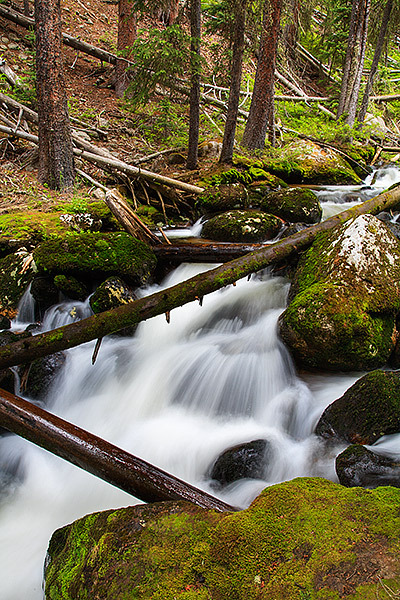 Onahu Creek is located on Rocky Mountain National Park's west side near Trail Ridge Road. Photo © copyright by Thomas Mangan.